A new family learning program shows that helping with homework improves communication between refugee parents and children. After school on Mondays and Tuesdays, a group of families speaking any one of a number of languages – Tamil, Hindi, Arabic, Burmese – arrive for a two-hour class at the William Langford Community House in suburban Perth. The parents go to one room, the children go to another. 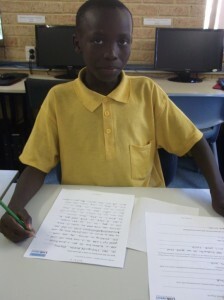 They are part of a successful homework program involving refugee kids and their parents. Children whose parents have low literacy and numeracy skills are less successful at school. But the problem’s even worse for refugee families. Poor English, isolation and unfamiliarity with local services and the school system makes it hard for parents to help a child who is struggling academically. The demands of settling into a new country and trying to put an often traumatic past behind them are often much larger worries for newly arrived refugee families. The Families Learning Together Project, a new intergenerational program, is aiming to break the cycle. It aims to improve parents’ literacy as well as their understanding and engagement with the education system as a way to improve their child’s school performance. Four community centres in remote, regional and metropolitan WA have run a pilot program. The pilot was so successful that five more centres are rolling the program out this year. The idea for such a program was sparked during a brainstorming session three years ago at a Perth meeting of librarians and community groups. Maria Cavill, manager of the William Langford Community House who was at the meeting was concerned about asylum seeker and refugee children experiencing difficulties with school. And she was looking sponsorship for a program to do something about it. Linkwest, the State Association for Community, Neighbourhood and Learning Centres, with funding from the Office of Multicultural Affairs, selected William Langford Community House as one of the four centres to run a pilot. Using the curriculum developed by Linkwest as a guide, tutors teach the parents about the Australian education system and practical strategies to help them with their children’s schooling. As well as offering help in literacy and numeracy – around half of the parents can’t read or write – tutors take the group to the local library and link them to services in the community that can help their child. Progress is slow in terms of the adults’ literacy, Maria says. ‘But it’s getting there.’ Ninety per cent of parents have joined free English conversation classes at the centre as well as art and craft classes. Mihaela Nicolescu, centre development officer at Linkwest, says the project’s lessons plans for both children and parents, supporting material and handouts that were developed by qualified teachers, had to be both comprehensive and flexible. Personalising resources so that they were relevant to each group was critical, as was finding tutors who could facilitate and adapt the material for their local group. ‘Tailoring the program to ensure parents don’t feel it’s patronising, or that they are being taught things that are basic is key’, Mihaela says. Linkwest also developed a facilitation course so that centres who took part could run the course well.